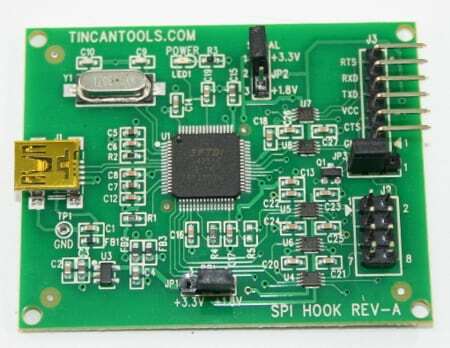 The SPI Hook is a dual function utility board: 1) SPI Flashing tool that can read, erase and write to the SPI Flash located on the MinnowBoard Max/Turbot and 2) adds a virtual RS232 serial port for communicating with the MinnowBoard Max/Turbot. The SPI Hook can be used to read, write, or erase the SPI Flash located on the MinnowBoard Max/Turbot. 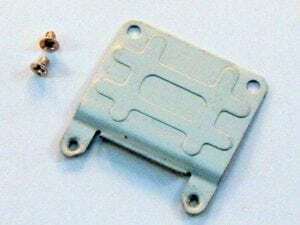 The SPI Hook uses the open source software: flashrom. Flashrom is utility software for identifying, reading, writing, verifying and erasing flash chips. The SPI Hook can be used to flash new bootloaders onto the MinnowBoard Max/Turbot. There is a jumper onboard that allows you to select the flash’s target voltage: 1.8V or 3.3V. The SPI Hook provides a “USB to RS232” virtual serial port. 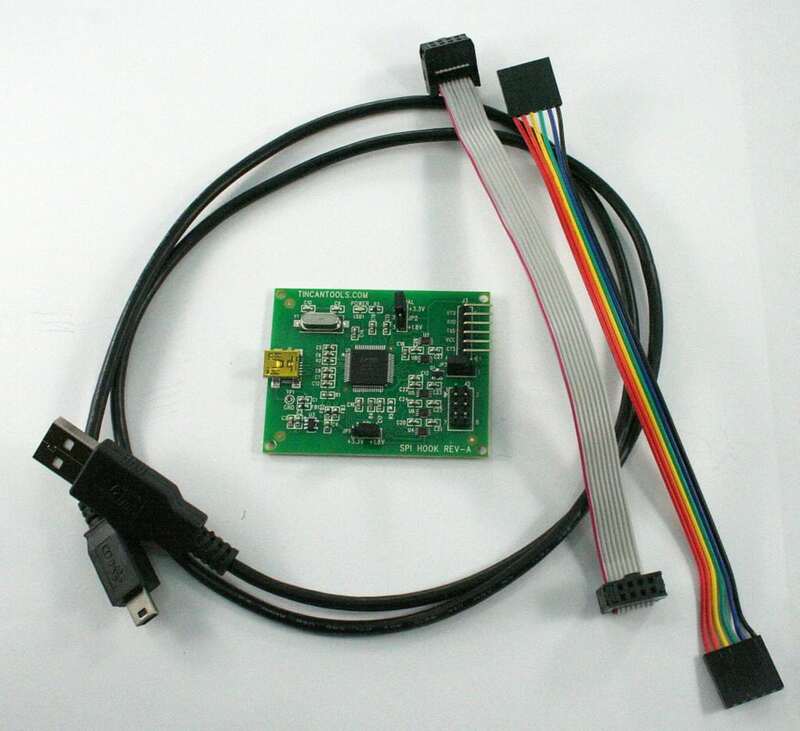 This virtual serial port that can be used to communicate with the MinnowBoard Max/Turbot. The serial port is completely independent from the SPI Flashing tool. There is a jumper onboard that allows you to select the target voltage for the serial port: 1.8V or 3.3V. 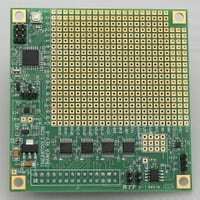 For Linux, the RS232 driver for the FT2232 is part of the main kernel tree and is provided in most standard Linux distributions. In Windows, you have to load the Windows driver for the FT2232. Once the driver is loaded, Windows will assign a virtual COM port to the Flyswatter’s serial port. It operates just like a standard COM port. 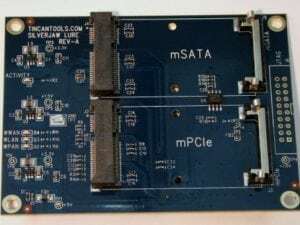 You can add a serial port to laptops or PC’s that do not have a 9-pin legacy serial connector.